Our most comprehensive test for allergy/intolerances for a family or four people. Using the latest in bio-technology, the allergy/intolerance test uses your hair sample to test 400 different food and 325 different non-food items to see which of those items might cause you a reaction due to having an allergy/intolerance. The Test: Our Family Test offers a diagnosis of 400 food items and 325 non-food items in one easy to understand report for four people. Plus, you will receive a comprehensive guide helping you eliminate possible intolerances from your diet. PLUS, tests also include our exclusive nutrition and metals toxicity test. Eat out again without worry as a whole family! Quick & easy: Simple and secure payment, downloadable submission forms and the results report of your potential intolerances emailed to you in just 7-10 working days of receipt at our lab. Our laboratories & Technology: Our Mars III bioresonance equipment is manufactured and listed as a medical scanning device class 11a according to ISO EN 13485. Guides & resources: Each test includes a completely free 19-page comprehensive guide which will further explain your results and help you to feel better faster with easy to follow hints and tips from our team of nutritionists. In addition, you will also receive a 6-week food diary planner to help you optimise your diet. Testing: We have now completed tests on over 400,000 samples received Worldwide. Our test requires a few of your hairs in order to provide results. Our Promise: We offer 24-hour (Monday – Friday) customer support and advice. Our customer satisfaction is currently 99.5%. 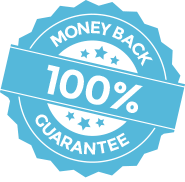 We also offer a 100% money-back guarantee on all tests. Order today: Discover if non-IgE-mediated food allergies, food intolerances or food sensitivities are affecting your life.